Using the rowdy, raunchy, and violent life histories of the local officials and settlers who first colonized Mexico, this iconoclastic book reveals the inherent difficulties of imposing a colonial order in the Americas. Scholars have written reams on the conquest of Mexico, from the grand designs of kings, viceroys, conquistadors, and inquisitors to the myriad ways that indigenous peoples contested imperial authority. But the actual work of establishing the Spanish empire in Mexico fell to a host of local agents—magistrates, bureaucrats, parish priests, ranchers, miners, sugar producers, and many others—who knew little and cared less about the goals of their superiors in Mexico City and Madrid. 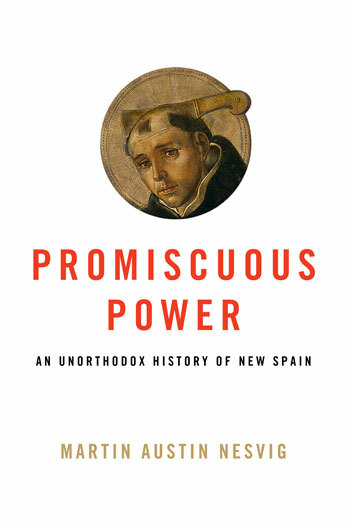 Through a case study of the province of Michoacán in western Mexico, Promiscuous Power focuses on the prosaic agents of colonialism to offer a paradigm-shifting view of the complexities of making empire at the ground level. Presenting rowdy, raunchy, and violent life histories from the archives, Martin Austin Nesvig reveals that the local colonizers of Michoacán were primarily motivated by personal gain, emboldened by the lack of oversight from the upper echelons of power, and thoroughly committed to their own corporate memberships. His findings challenge some of the most deeply held views of the Spanish colonization of Mexico, including the Black Legend, which asserts that the royal state and the institutional church colluded to produce a powerful Catholicism that crushed heterodoxy, punished cultural difference, and ruined indigenous worlds. Instead, Nesvig finds that Michoacán—typical of many frontier provinces of the empire—became a region of refuge from imperial and juridical control and formal Catholicism, where the ordinary rules of law, jurisprudence, and royal oversight collapsed in the entropy of decentralized rule. Nesvig is an associate professor of history at the University of Miami. He is the author of Ideology and Inquisition: The World of the Censors in Early Mexico and editor of three volumes on religion in Mexico, including Religious Culture in Modern Mexico and Forgotten Franciscans: Writings from an Inquisitional Theorist, a Heretic, and an Inquisitional Deputy.